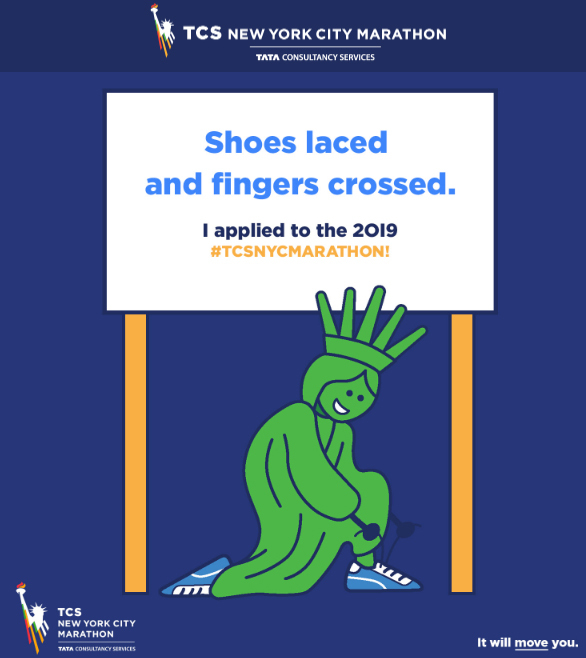 You’ve entered the drawing for the 2019 TCS New York City Marathon, the world’s largest marathon. We hope you get the chance to join us this November. You’ll be notified whether you were selected on February 27. Good luck!